Choosing the perfect frame requires all elements to work together in perfect unison. Along with choosing the right design, matting, and color, it’s important to find the perfect glass to protect your artwork. At Framed in the Village, we offer an extensive array of glass options for your frame, including Conservation Reflection Control Glass, Conservation Clear Glass, as well as Museum Glass and traditional plexiglass. Conservation Reflection Control and Conservation Clear Glass are trademarked products from a company called Tru-Vue. Each type of glass is specially designed to offer the highest level of Ultra Violet (UV) protection for your artwork while allowing the full character of the work to shine through. We also offer Tru-Vue Museum Glass, which offers an even higher level of protection against UV-light and other elements that might harm your photograph. This type of glass is used in museums all over the world to prevent valuable pieces from fading away. 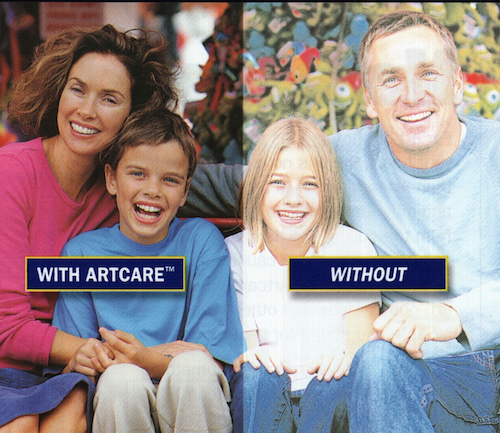 Choosing glass without UV protection can make any picture, painting, photograph or document lose its lustre over time. Investing in good, high-quality glass today can ensure that your piece lasts a lifetime. Put simply, at Framed in the Village, we help you choose the perfect glass lining to protect your piece from the elements.